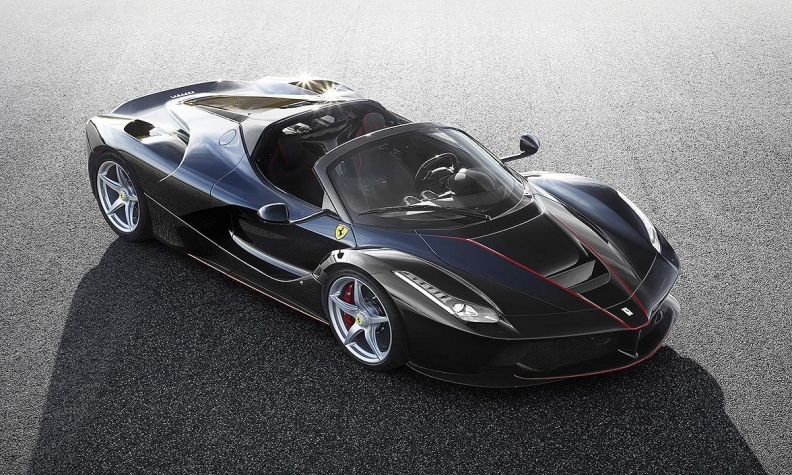 LaFerrari Aperta is one of Ferrari's hybrids. Its V12 engine combined with an electric motor makes 950 hp. MILAN -- Ferrari CEO Sergio Marchionne sees hybrid technology as a way to boost the brand's profits by lifting sales above 10,000 a year. Marchionne said all Ferraris sold from 2019 will have some hybrid elements. This could open the way to go beyond the brand's volume limit, which is constrained by CO2 regulations. Ferrari has committed to ship about 8,000 cars this year and gradually raise that to 9,000 by 2019. It has not made any promises beyond that, to protect the brand's exclusivity but also because of regulations that exempt it from certain fuel economy and emissions requirements provided it sells fewer than 10,000 vehicles a year. Marchionne said Ferrari could sell more than 10,000 cars a year by 2025 after presenting better-than-expected quarterly earnings and upgraded full-year guidance on Monday. He promised a "fundamental shift" in the way Ferrari manufactures its cars. Beyond hybrids, this will include a combination of combustion and electrification that will "even yield additional performance," he said. "Although I neither commit to this nor do I give any sort of certification of it being our objective, it is possible that the [annual sales] number could be well in excess of 10,000 cars in 2025," Marchionne told analysts. One such example is the GTC4Lusso T, a four-seater with a smaller V-8 turbo engine, "designed to be driven every day," the company said when the car was unveiled in September. Marchionne added that it is easier "to generate profits and cash if we stick to cars while at the same time look at the extension into luxury at a more reasonable pace." Ferrari's share price rose more than 7 percent on Monday after it posted a 10 percent rise in third-quarter adjusted core earnings and sales up 8 percent, though the stock still hovers only slightly above its IPO price of $52. "It seems that Ferrari is now considering adding up to two new models to its range over the next four to five years – and it seems this approach is gaining favor over potential brand extension strategies," said Exane BNP Paribas analyst Stuart Pearson. "This could be a material positive ... and, combined with a focus on hybridization, could allow Ferrari to breeze through the 10,000 volume cap."